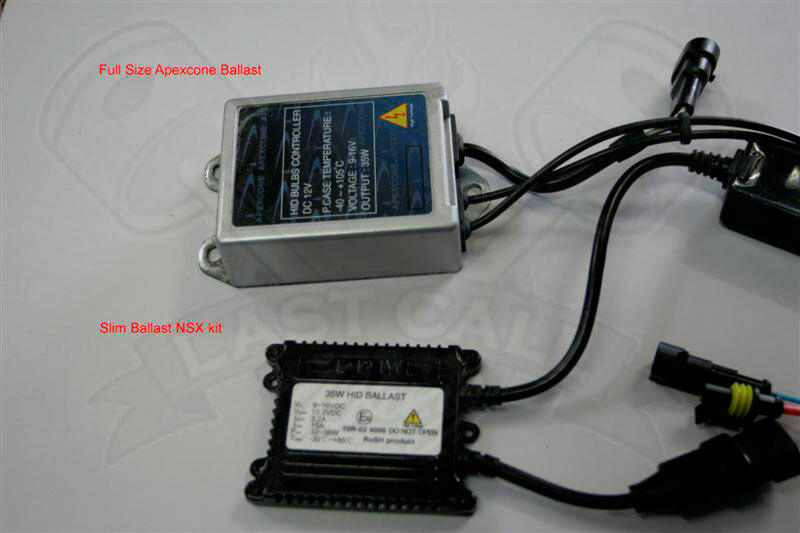 Last Call Racing brings you the finest HID Conversion Kit on the market to breathe some new life into your 2005 to 2009 Mustang. Say goodbye to those yellowing and dimming stock lights with this cheap, quick, and simple modification that will make a huge improvement to your Mustang's visual appearance and navigation. This kit can be installed in less than 10 minutes, and lasts for years as the bulbs average life span is 12-15 years. Stock halogen bulbs run at 55 watts, and these HID bulbs run at 35 watts, so they consume less power and run cooler than stock bulbs. These kits have everything you need to get the job done, from the ballasts, HID bulbs, double sided tape, lifetime warranty, wiring harnesses, and even zip ties to keep everything neat and clean. Choose what color best fits you, from yellow to purple, and all shades of white and blue in between. If you Want further proof, just compare our kits to our competition. 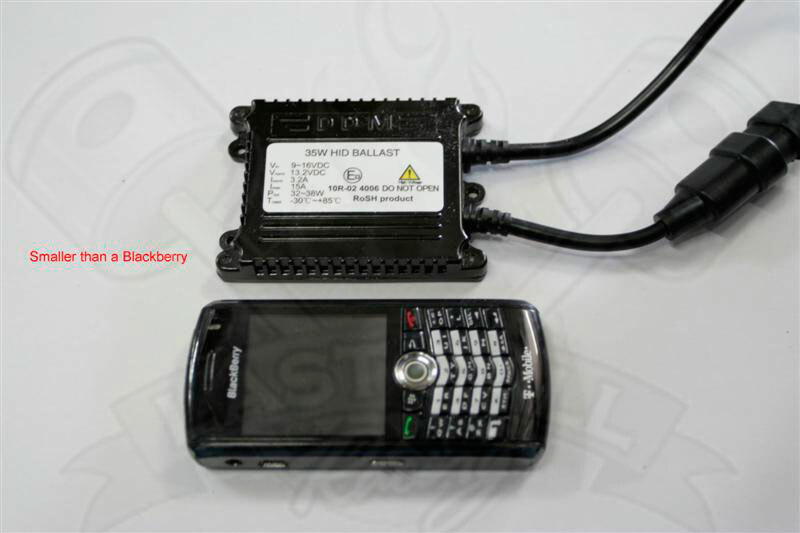 Our ballast is smaller than most, and even smaller than a cellphone. Best yet, Last Call Racing offers this kit to you for $50-$100 less than anybody else, and shipped to your door for free. Why choose any other HID Conversion Kit for your Mustang?